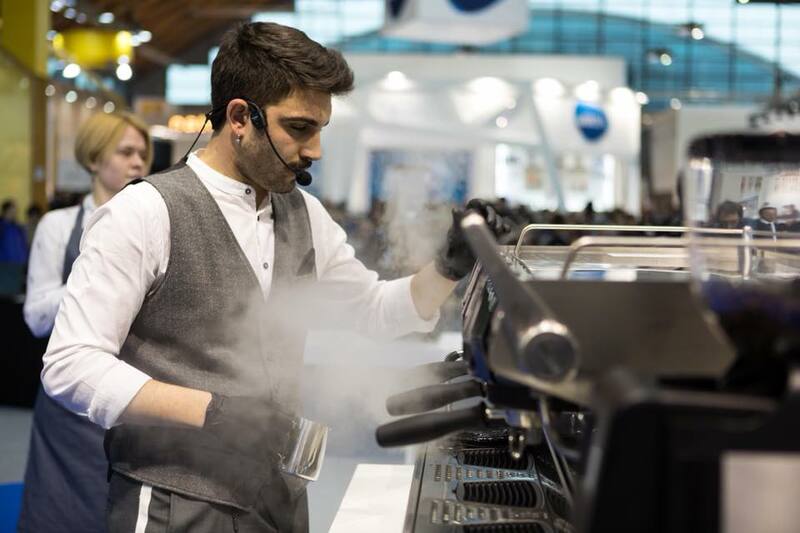 RIMINI, Italy — Francesco Sanapo is the best italian coffee taster, while Michele Anedotti is the best roaster: a big result for the team of Ditta Artigianale at SIGEP – Salone Internazionale Gelateria, Panificazione artigianale e Caffè, that ended last week in Rimini. 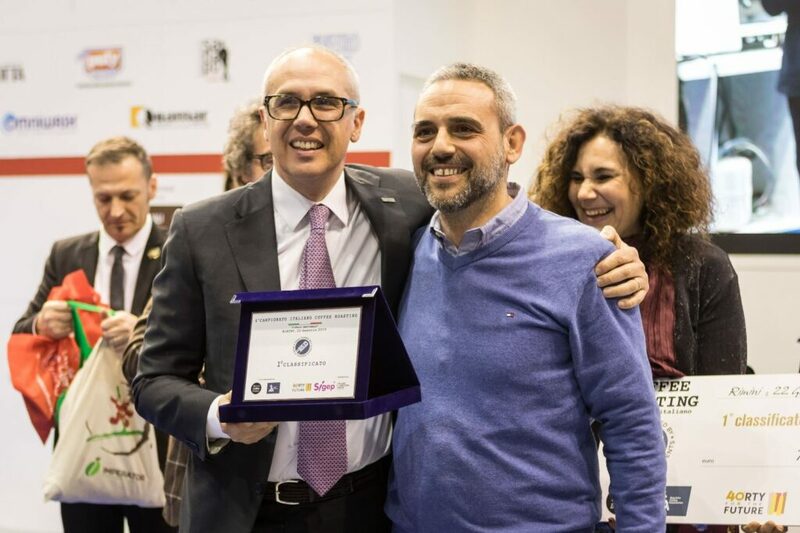 The experts of Ditta Artigianale, a micro-roastery and a line of specialty coffee, with the support of Scuola Masterbar by Caffè Corsini, conquered the top spot in multiple categories. 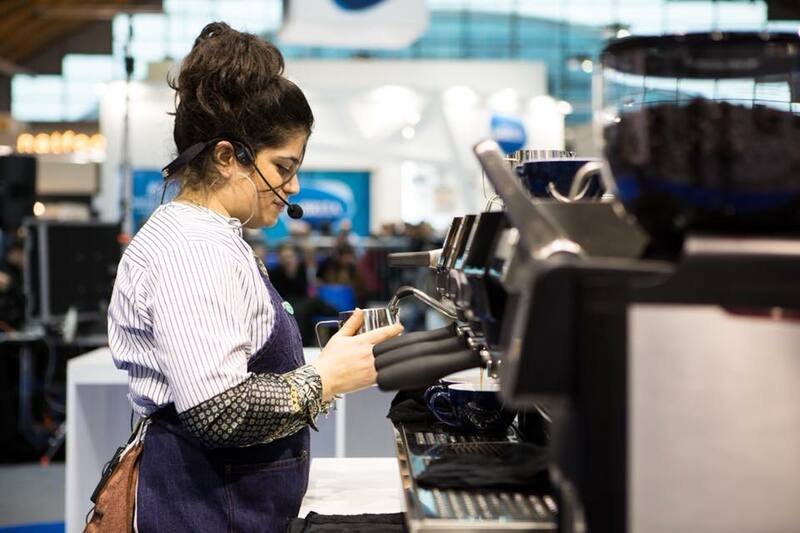 Moreover, Sanapo and Anedotti will represent Italy at the next coffee world championships 2019 which will take place in june from the 6th to the 8th in their respective categories. But the good news for the team of Ditta Artiginale are not over yet: Francesco Masciullo reached the third position in the Italian Barista Championship, Gianmarco Grassini ended up in fourth place in the Coffee in Good Spirits category and Eva Palma was fifth among the Latte Art finalists. Michele Anedotti and Francesco Sanapo are professionists who grew with Caffè Corsini and that play key roles in the company, in fact both of them are in charge of the quality control, that ranges from roasting profiles to the prime materials, and up to the coffee trade in the countries of origin. “We are very proud to have two champions like Sanapo and Anedotti and to be able to witness three very talented youngsters like Francesco Masciullo, Eva Palma and Gianmarco Grassini – declared Patrick Hoffer, president of Caffè Corsini – it gives the idea that our story is going on and that our future will be glorious. Caffè Corsini has been supporting these champions since 2008 and will continue to do it”. Francesco Sanapo, multiawarded barista champion (2010, 2011 and 2013) is back on the top spot, this time in a different category, after some years without competing (with the last competition being the World Barista Championship in Melbourne in 2013 where he brought Italy on the podium for the first time, ranking in 6th place among 53 competing countries). He won the Cup Tasters 2019 championship by correctfully guessing the different-tasting cup in the fastest time among an 8-set course, each composed of 3 cups, rightfully guessing 8 times out of 8. Sanapo, leader of Ditta Artigianale and ‘coffee lover’ as he likes to call himself (he even created the first reality show dedicated to coffee, ‘Barista & Farmer’) preceded on the podium former champion Helena Oliviero, who guessed 7 cups, and Valentina Montesi. An important victory is also the one scored by Michele Anedotti, who debuted in this competition winning the first prize in the long and meticulous Coffee Roasting championship. Anedotti, who spent more than 20 years working at Caffè Corsini, 15 at the quality control, won by surpassing Moritz Hofer, who ended up second, and Luigi Paternoster, third. The roasting competition is an extremely complex one, which lasted three days under the scrutiny of the technical jury and the supervision of an international judge. It starts with the green coffee classification, meaning the not-yet roasted product, and the description of the coffee features; on the second day the competitor has to roast four types of coffee, a single origin and three other to create a blend, while the last step is dedicated to the tasting of what’s been produced. Again Anedotti: ‘the roasting competition requires a great concentration, it’s three intense days and I believe that my everyday background really helped me a lot. The judges really appreciated my blend and that gave me many points’. Francesco Sanapo was capable of combining his job with an incredible passion for coffee. In his many trips to the coffee origin countries, Sanapo has been on a constant search for the most exclusive and ethical prime materials, creating a direct contact with each and every single producer, based on trust and mutual respect. 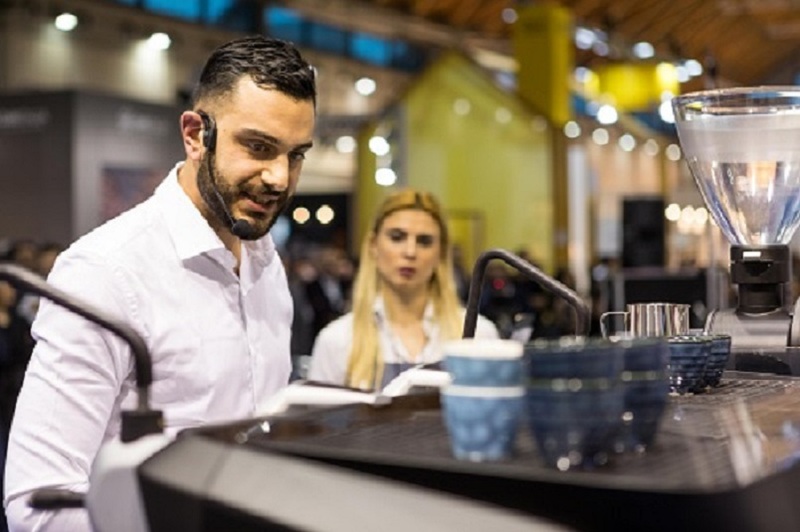 Sanapo has been three times italian barista champion, he took part in the 2013 WBC World Barista Championship in Melbourne Australia, ranking in sixth place worldwide. In 2013 he started his advernture in Ditta Artigianale, which was launched to glorify the quality of the italian craftmanship, applied to the coffee world. Coffee are available for sale in the two shops in Florence (via dei Neri 32/r e and via dello Sprone 5/r) and on www.dittaartigianale.it. Michele Anedotti started to work in the coffee field more than 20 years ago with Corsino Corsini Spa (www.caffecorsini.it), mastering several aspects of the roastery work in order to specialize himself in the quality control. His professional career then developed due to the expertise shared with his colleagues in the roastery, most notably with those with a longer experience, and to a specialized educational training. In recent years he specialized in roastery, managing in particular the specialty coffee line of Ditta Artigianale. 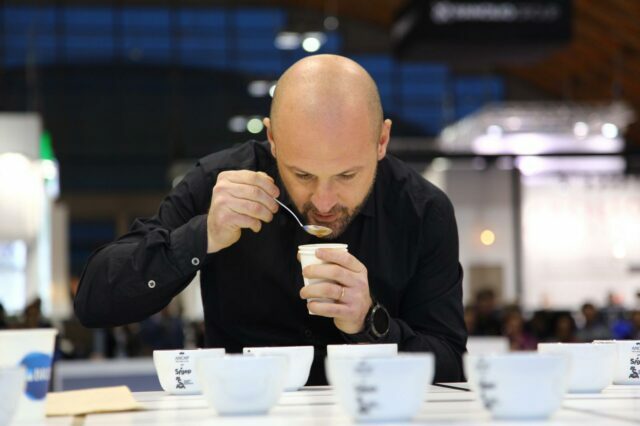 In 2011 he took part at the “World Cup Taster Championship”, representing Italy, a chance that brought him to further master his knowledge of coffee, taking also part in the Coffee Quality Insitute course, being among the first people in Italy to achieve the Q-grader title.